“Beach of Isshiki at Hayama”, c. 1920. In the distance can be seen Enoshima. 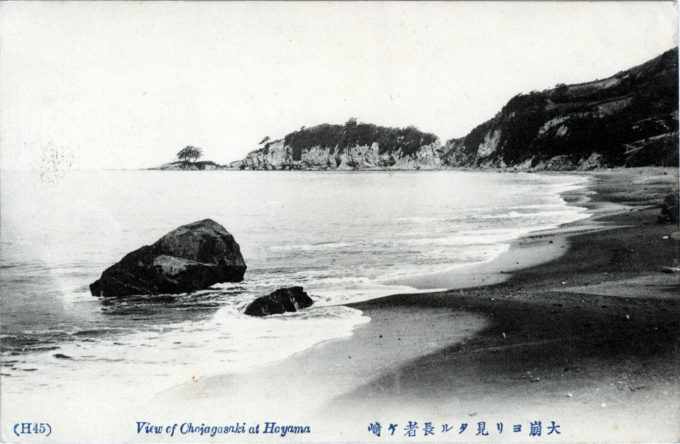 Hayama is located at the northernwestern end of Miura Peninsula, facing Sagami Bay on the Pacific Ocean. 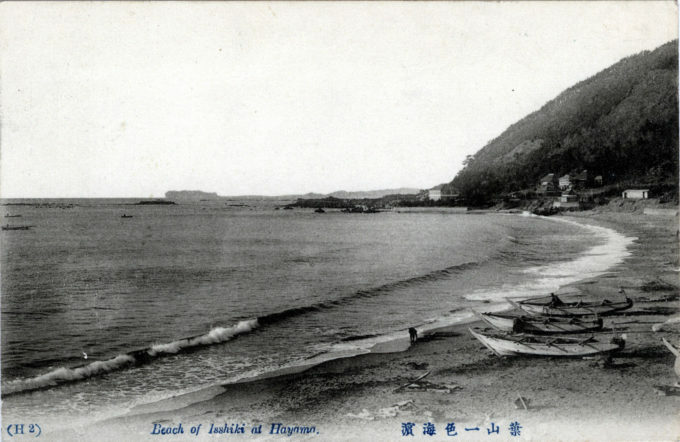 “Dzushi [Zushi], on the railway, 2-1/2 miles to the S. E. of Kamakura, is the station for Horiuchi, or Hayama, as it is now more commonly called, 1-1/2 m. distant, which has lately risen into favour as a sea-side resort, some of the wealthier residents of Tokyo and Yokohama having built villas there. “A good road connects Dzushi and Hayama, which latter place commands the lovely view of Mt. Fuji, which seems to rise straight from the waters of Odawara Bay, forming the central feature of the scene. The Crown Prince has a winter residence close by. 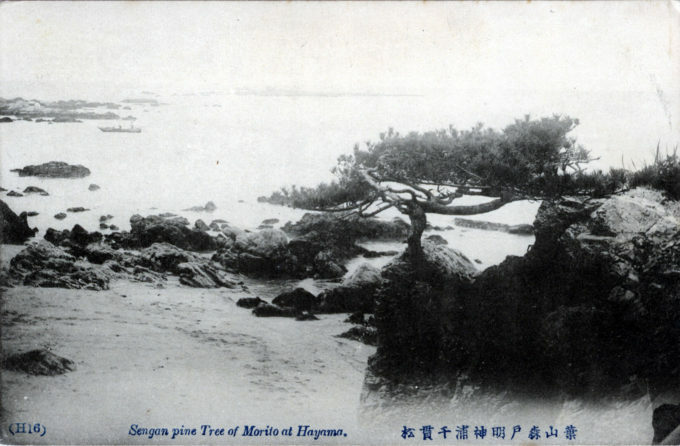 “Sengan [sic] pine tree of Morito at Hayama”, c. 1920. “View of Ohojagasaki at Hayama”, c. 1920.